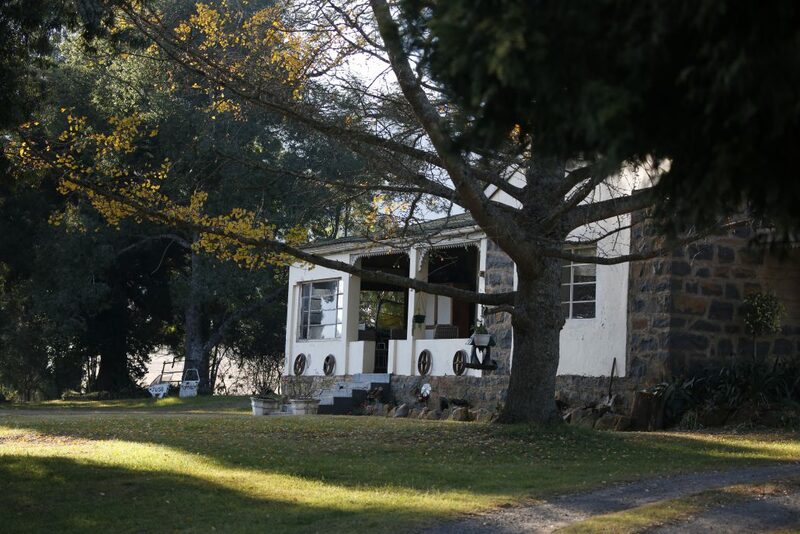 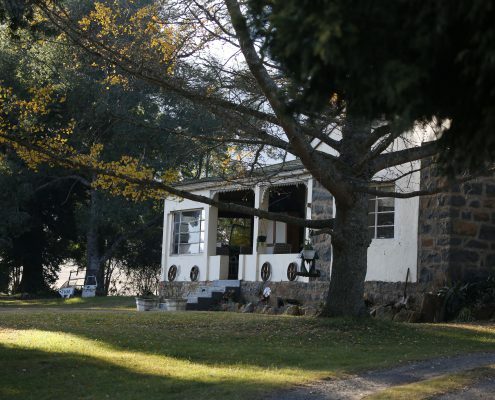 We have just returned from a fabulous few days visiting Donnybrook and Creighton and staying with good friends, the Bowmans, at their Belmont farm. 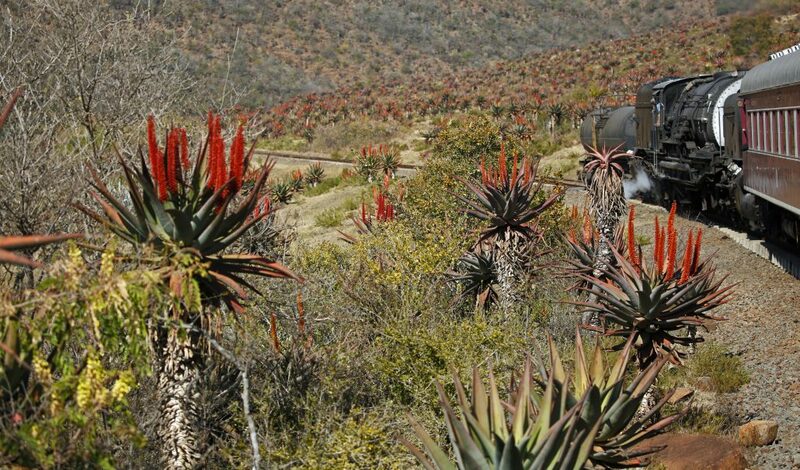 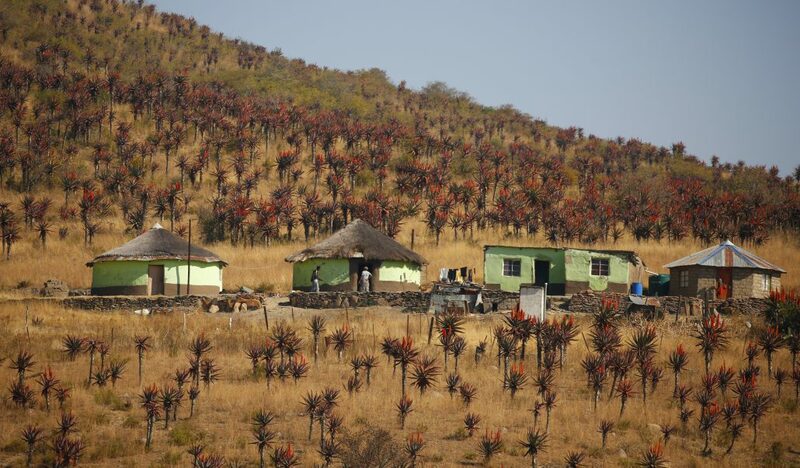 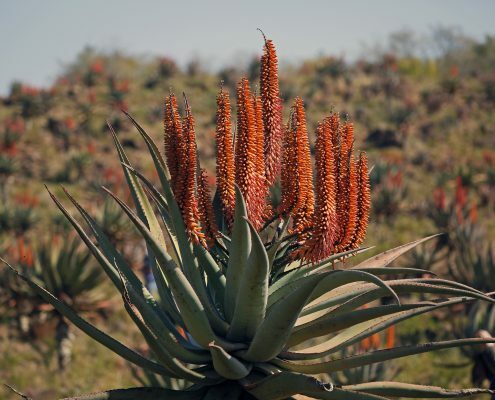 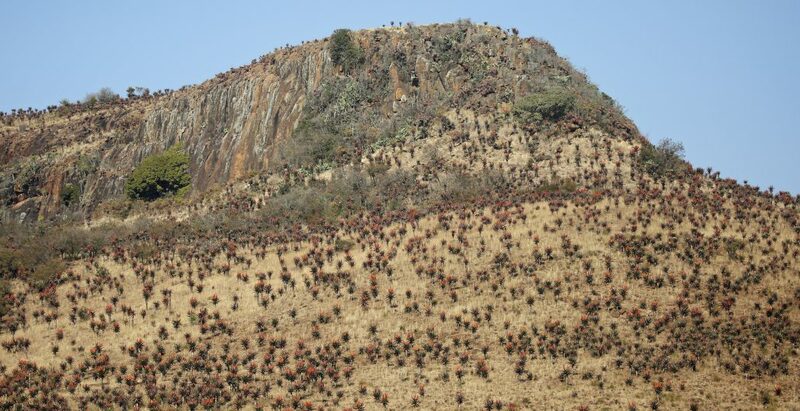 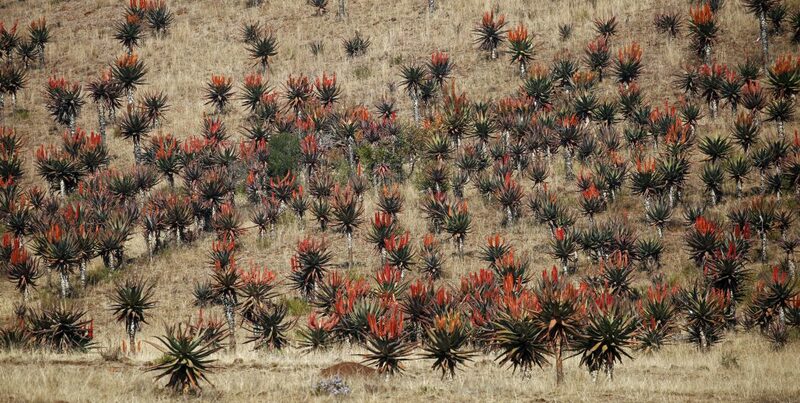 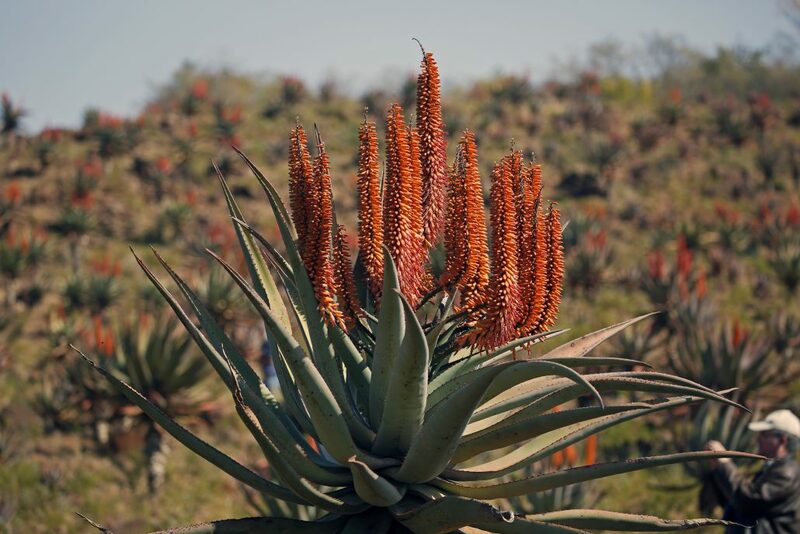 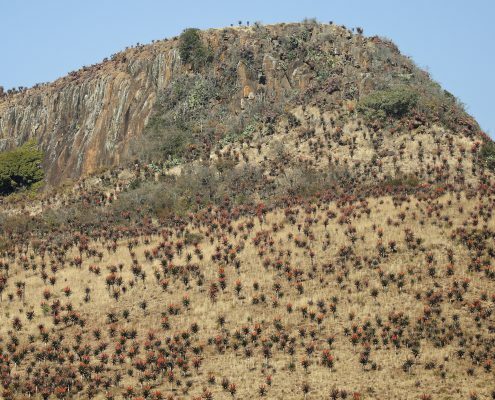 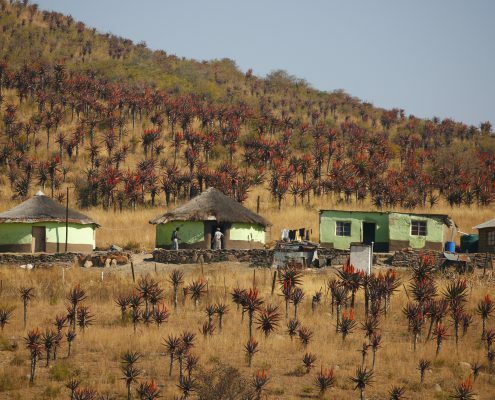 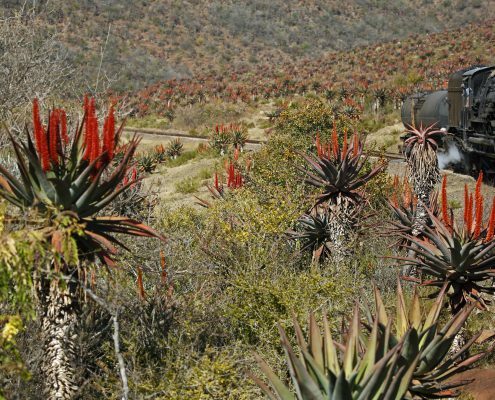 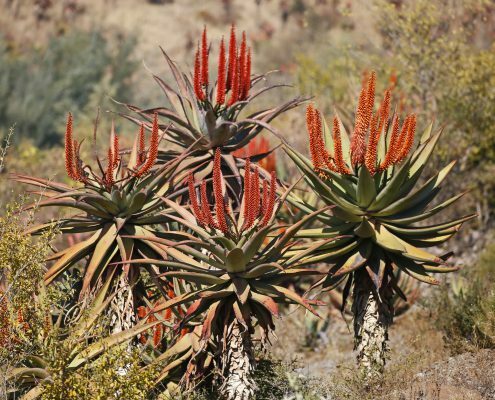 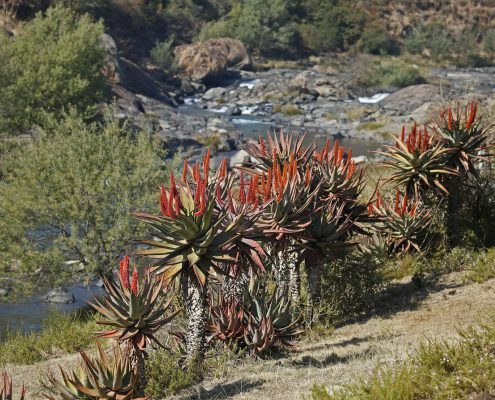 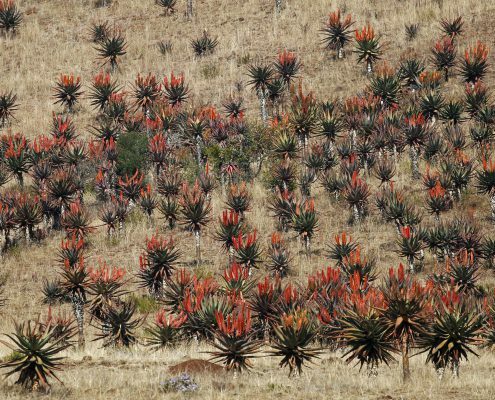 We have been keen to experience the magnificence of the famous aloe displays in full bloom along the remote valleys, situated between the towns of Creighton and Riverside. 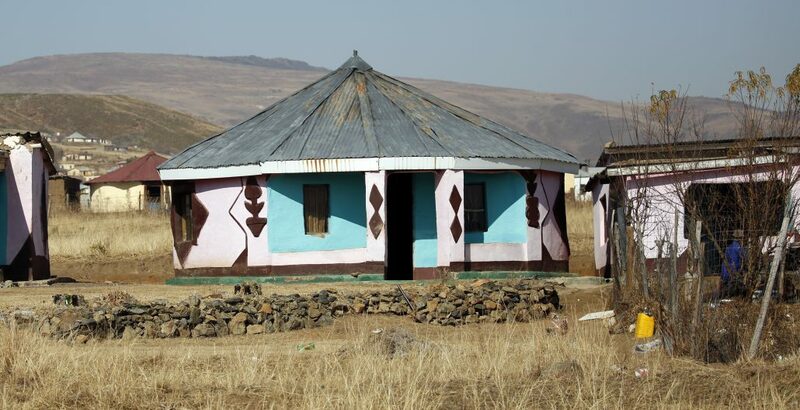 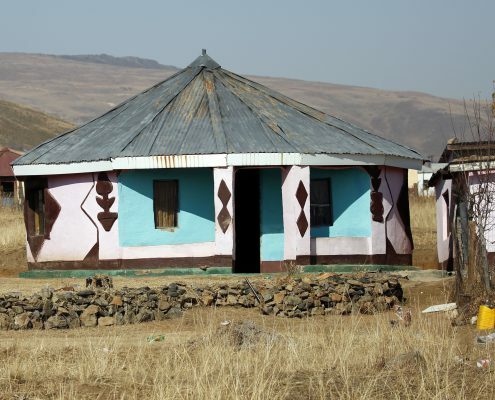 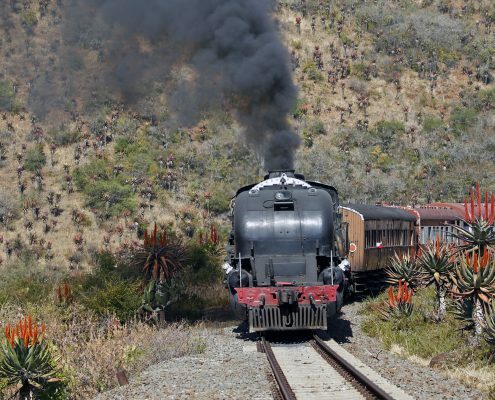 We were so impressed with the experience that we are planning a return trip in July next year!! 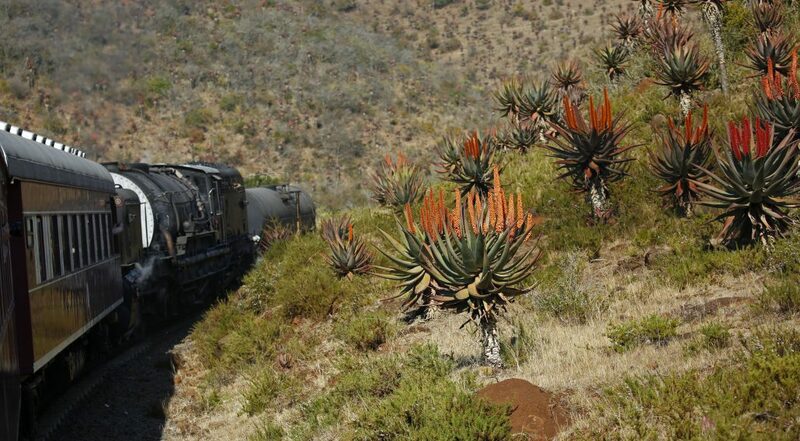 We booked the Aloe Steam Train with James and Barbs Dixon and had a fantastic train trip experience between Creighton and Riverside viewing this amazing blaze of colour, from the bright orange and red aloes clustered in the valleys and on the hillsides, alongside the Ngogwaan and Umzimkulu rivers. 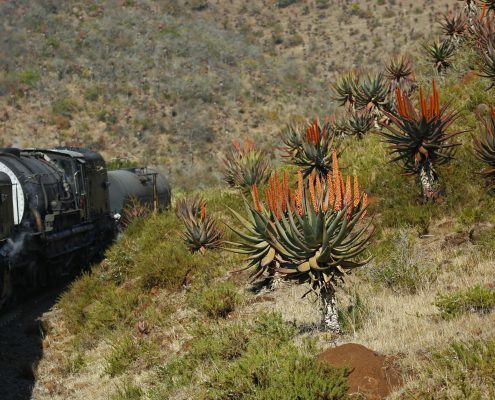 The aloe display was literally endless – different species, sizes and clusters, growing close to the rail lines, soaring up the hillsides and straddling the river embankments and slopes – holding all passengers captivated as we went chugging past. 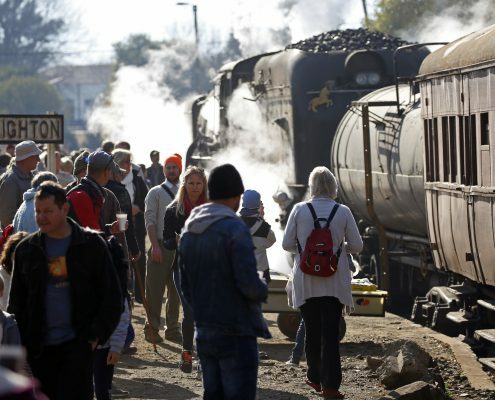 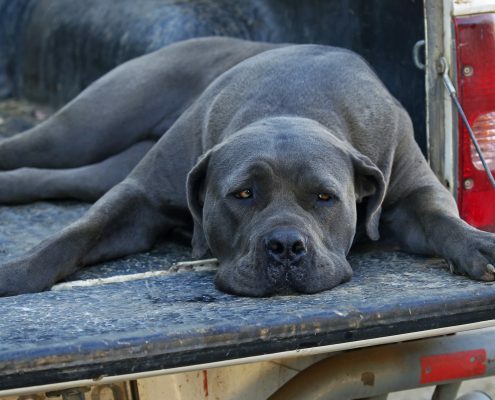 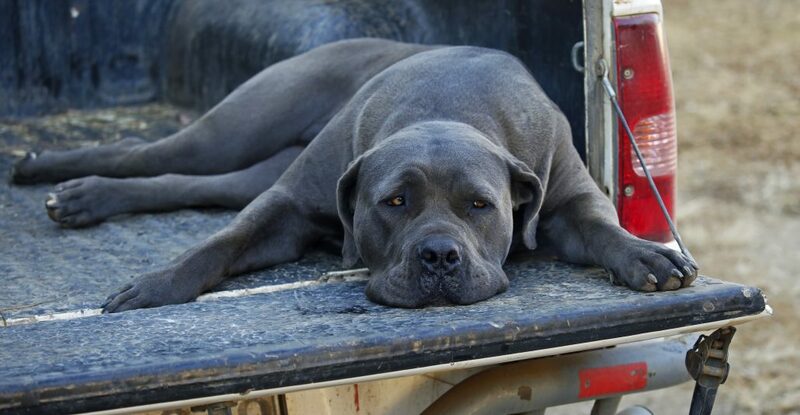 When we reached the small town of Riverside the steam train had to uncouple, turn around and reconnect with the carriages to prepare for the home journey. 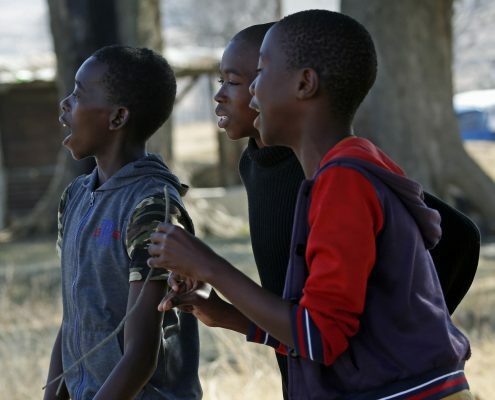 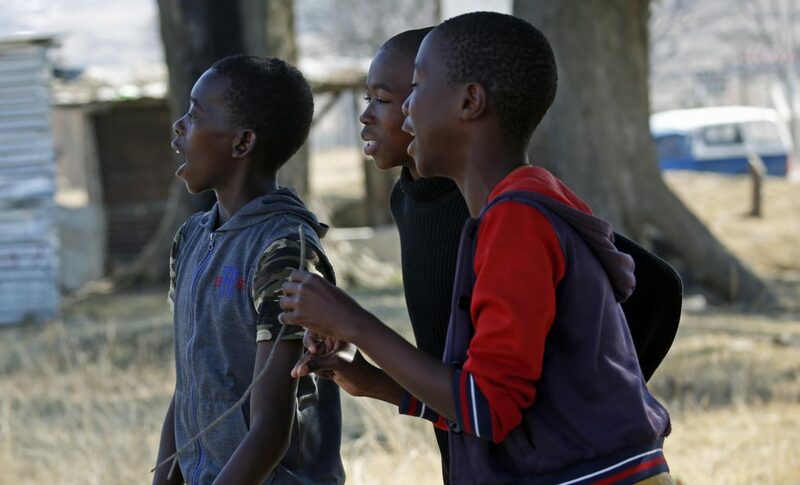 While this maneuvering was happening we were able to get out for a leg stretch and were entertained by enterprising groups of children singing and dancing, including the local church choir, resplendent in colourful tribal clothing. 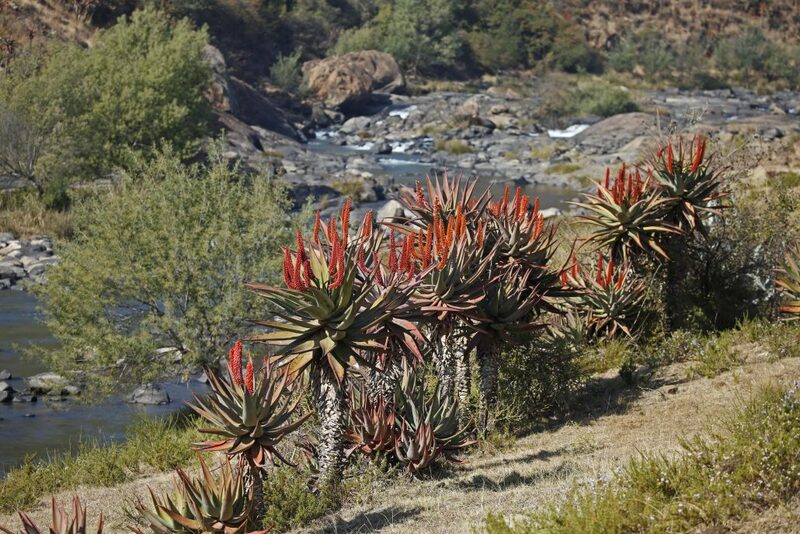 On the way back, we were treated to another short stop and walk along the banks of the river in the midst of the gorgeous aloes. 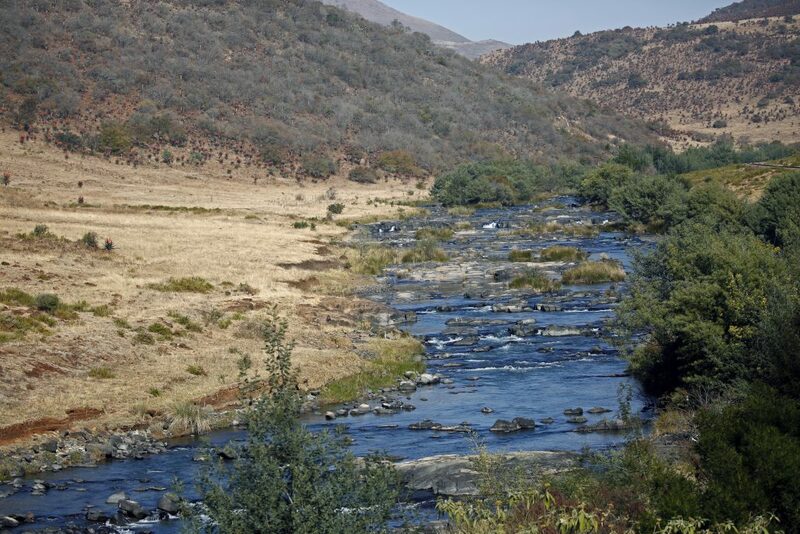 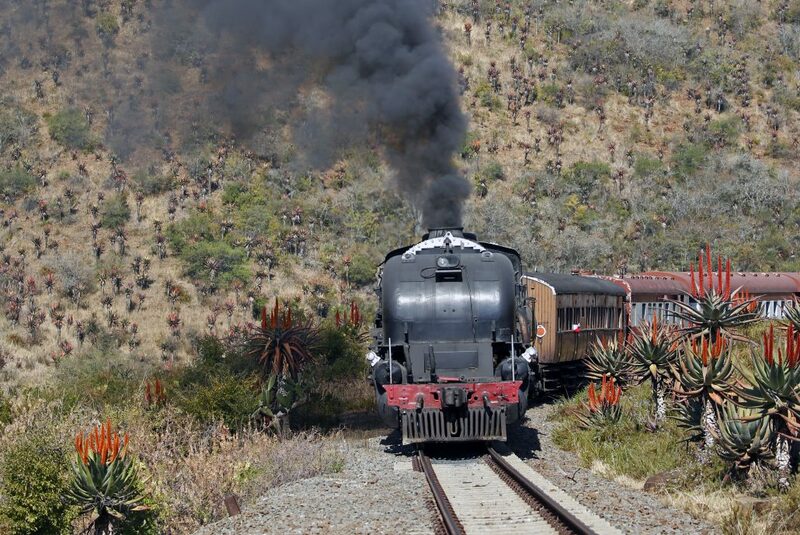 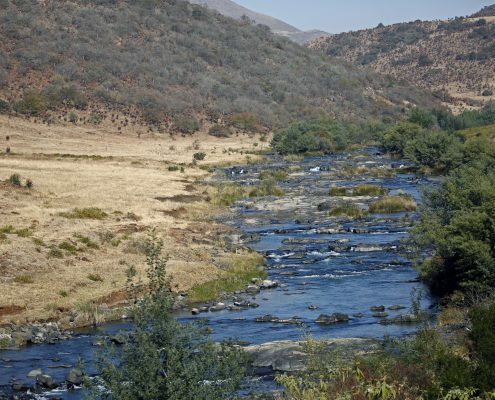 The highlight of the stop is a rare photo opportunity when the steam train reverses back around the bend and starts building up a head of steam as it comes around the bend with the river and aloes, as a magnificent backdrop. 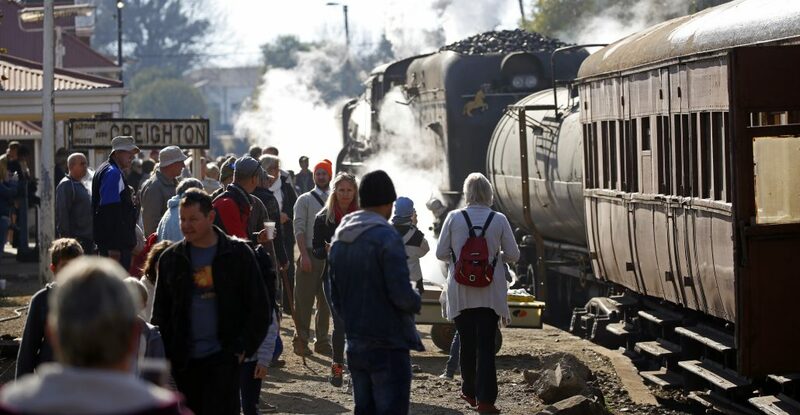 It is a special kind of feeling to have a steam train bearing down close to you on the tracks, with the noise and power of the engine creating an unforgettable moment! 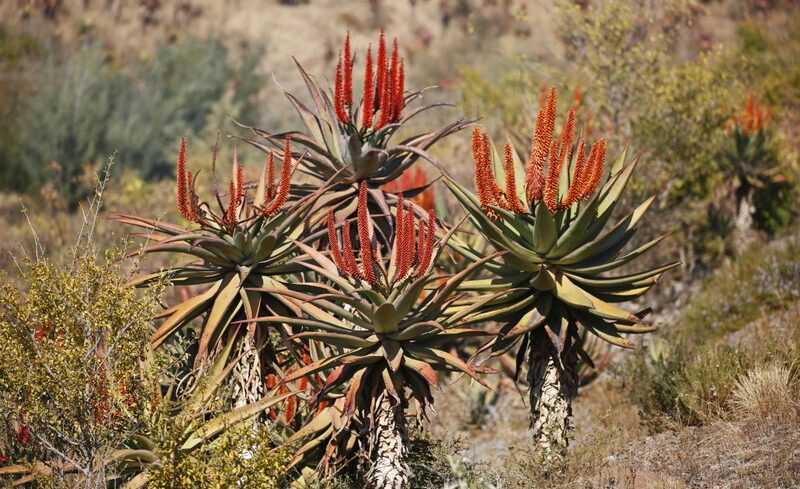 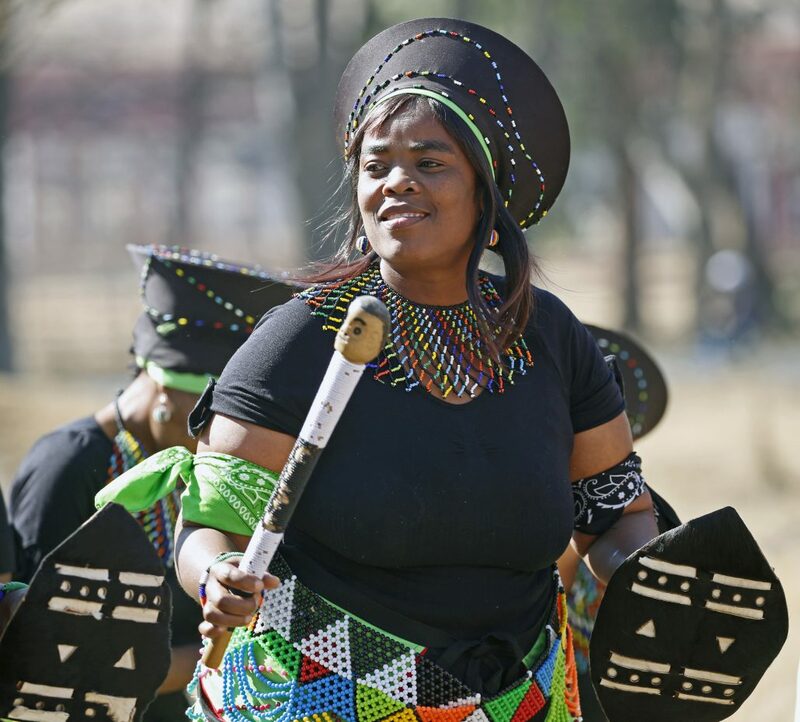 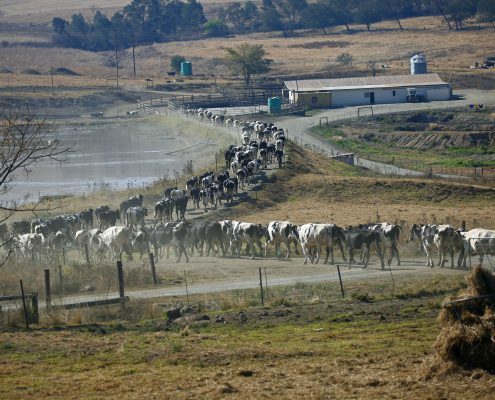 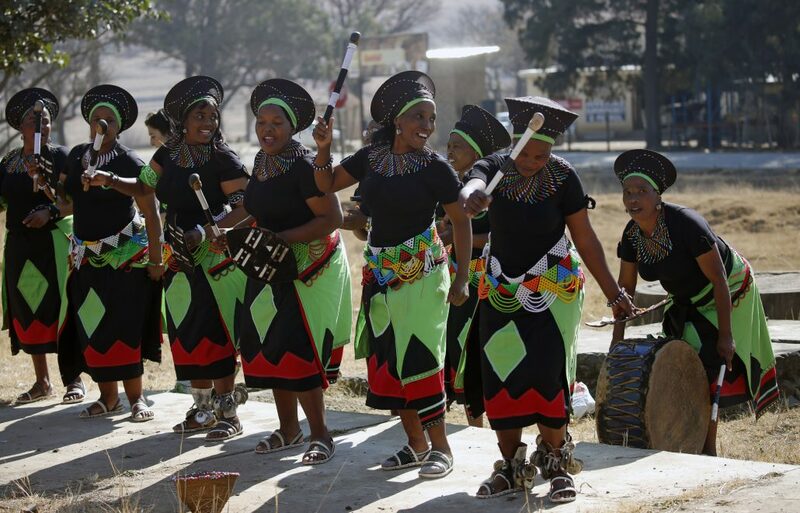 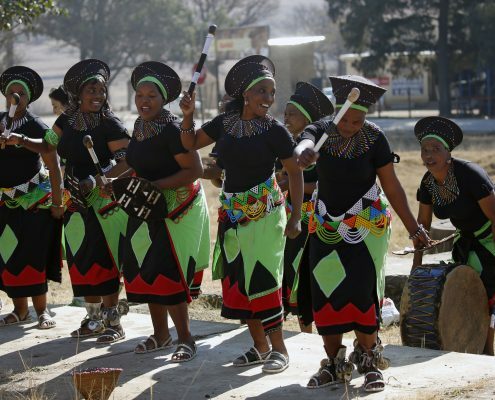 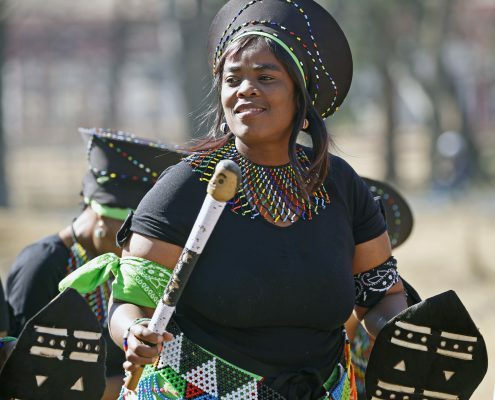 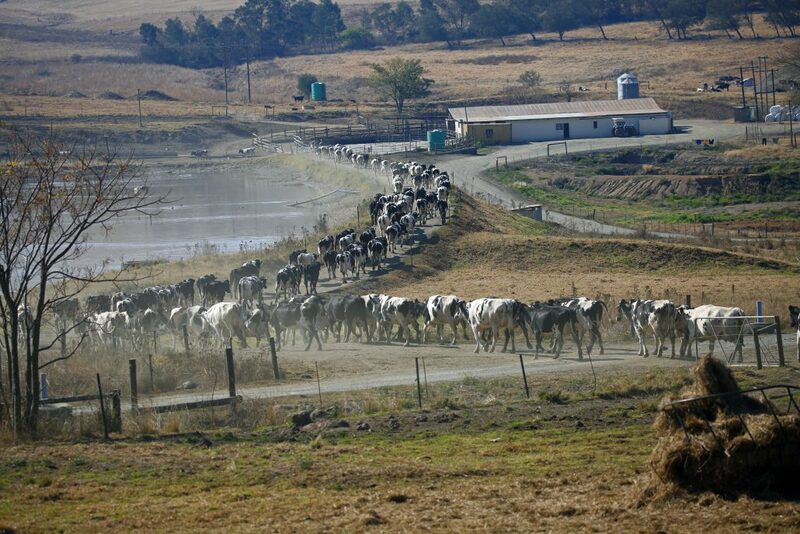 The Creighton Aloe Festival is held each year in July and one can now appreciate why it is so popular – travelling within the spectacular natural scenery of the colourful aloe valleys as well as the huge dairy farms around Creighton.